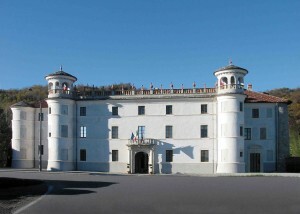 The three-story silk-throwing mill at Caraglio, Piedmont, Italy, constructed 1676-8. 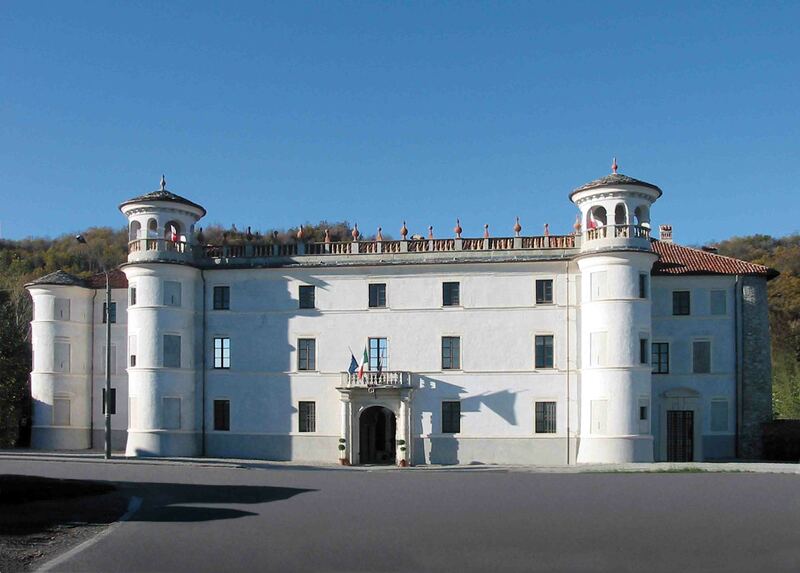 This enormous water-powered silk-throwing mill, at Caraglio in Piedmont in north-western Italy, was built in 1676-8. Mills like this were the model for the first successful English factory for manufacturing silk warp yarn [organzine] by water power, built by Thomas Lombe at Derby about 1720. The Spinning Project is currently exploring the links between Lombe’s silk-throwing machinery and subsequent mechanical inventions for spinning cotton, culminating in Richard Arkwright’s water frame of 1768. Lombe’s Derby factory used machines copied from those in Piedmont. 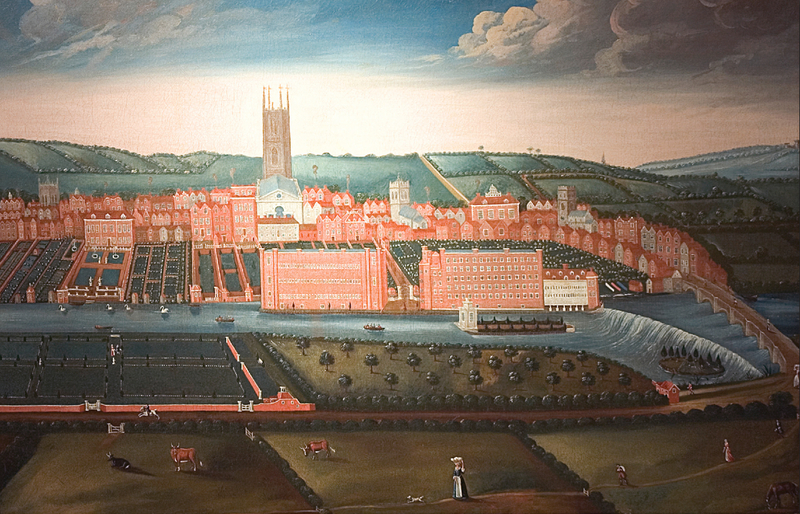 ‘The East Prospect of Derby, c. 1728’. 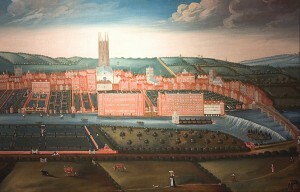 The two large brick buildings in the centre of the painting, on an island in the river, are Thomas Lombe’s silk factories, on the left the three-story doubling works and on the right the five-story, water-powered throwing works. The working reconstruction at Caraglio demonstrates the huge scale of this machinery and its use of a flyer mechanism similar to that employed in Arkwright’s machine.